This entry was posted on April 8, 2019 at 4:32 pm and is filed under Ride reports. You can follow any responses to this entry through the RSS 2.0 feed. You can leave a response, or trackback from your own site. Make sure to get a photo of the official Caltrans Newt Crossing signs on Alma Bridge road. 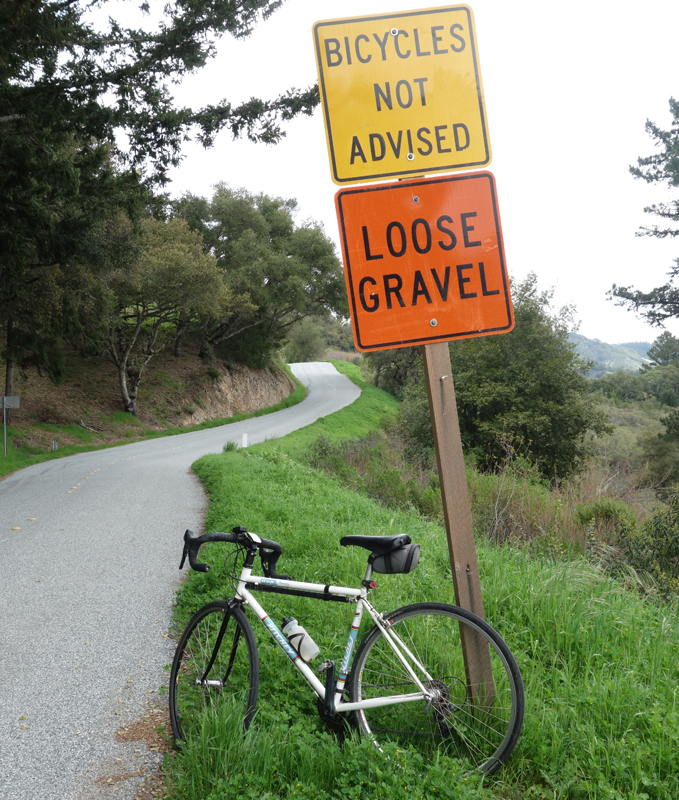 Loose Gravel – Bikes not Advised – I think these can be worthwhile. I’ve seen a lot of riders with excellent downhill skills take Alpine west at very high speeds. For these guys it only takes one or two loose pieces of gravel in the wrong place before they turn into something that looks like a squashed newt. 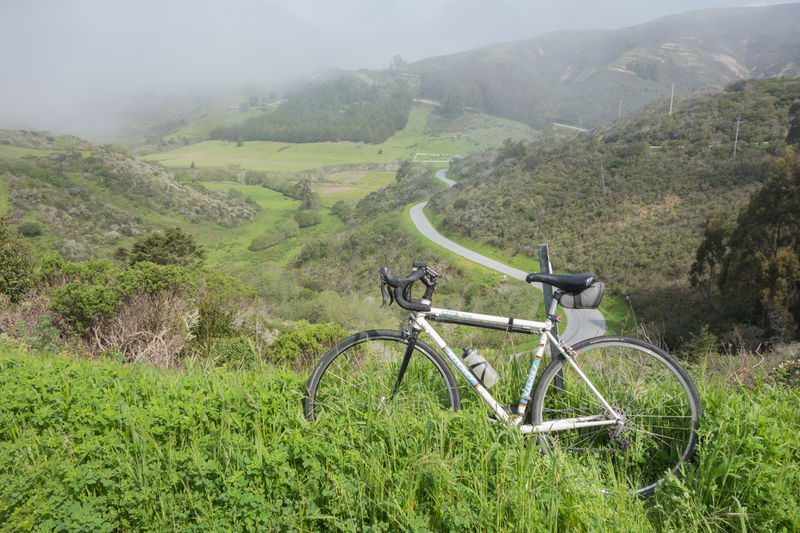 Unfortunately, in the case of Alpine west, they put the sign at the intersection of Alpine and Portola State park access road in the direction of riding up. So it doesn’t help the downhill riders in this case. 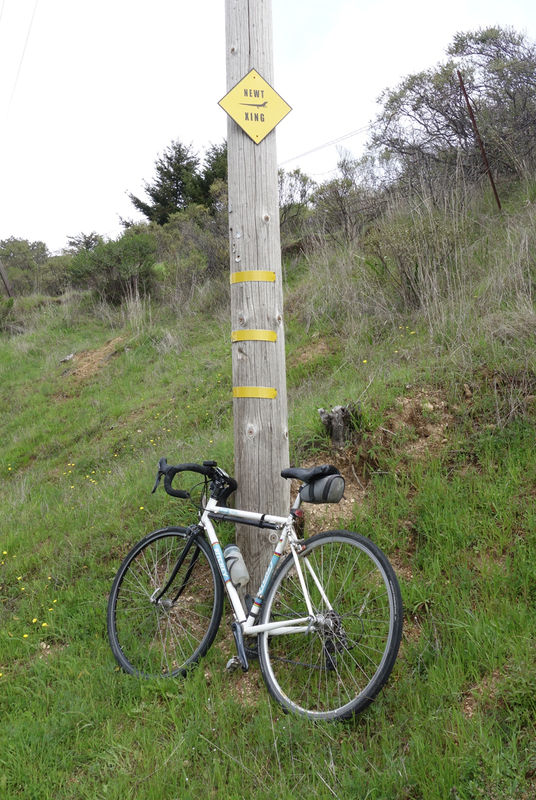 And, if you are riding up Alpine west and you get to this intersection, you see the sign, and think, “Gee should I turn around?” No way! 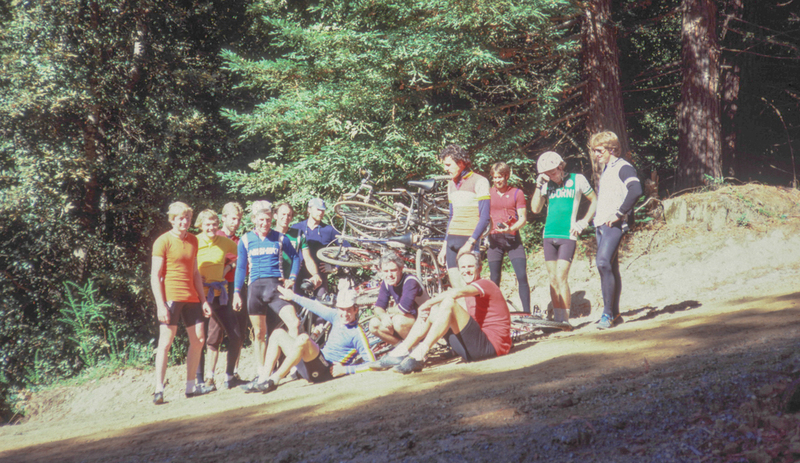 For Old La Honda road, west, that road is still fairly gravely, but I haven’t seen the pro-level descenders on that road. The sign is in the right place though! 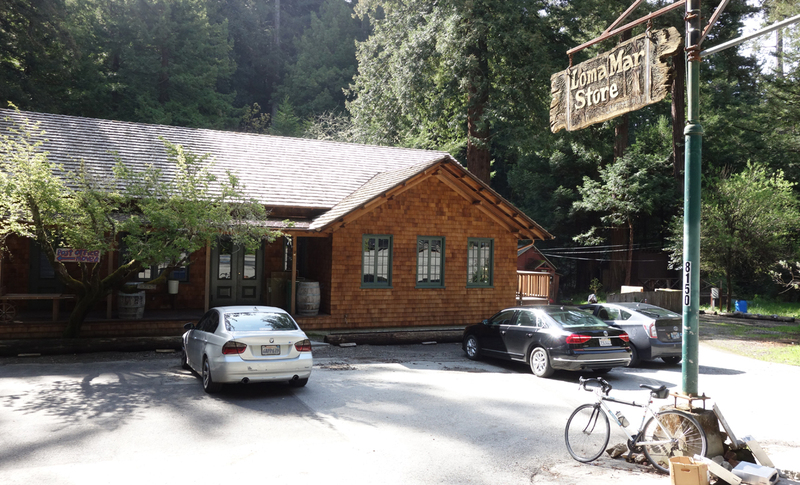 For weekend rides in Santa Cruz mountains: Eureka Canyon, Zayante, and Tunitas are still very quiet. 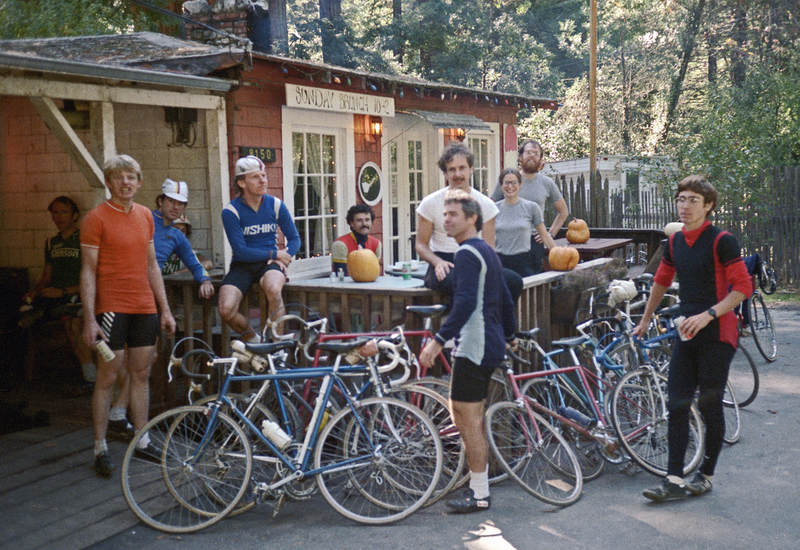 Old Santa Cruz, Montebello, Page Mill, aren’t too bad. 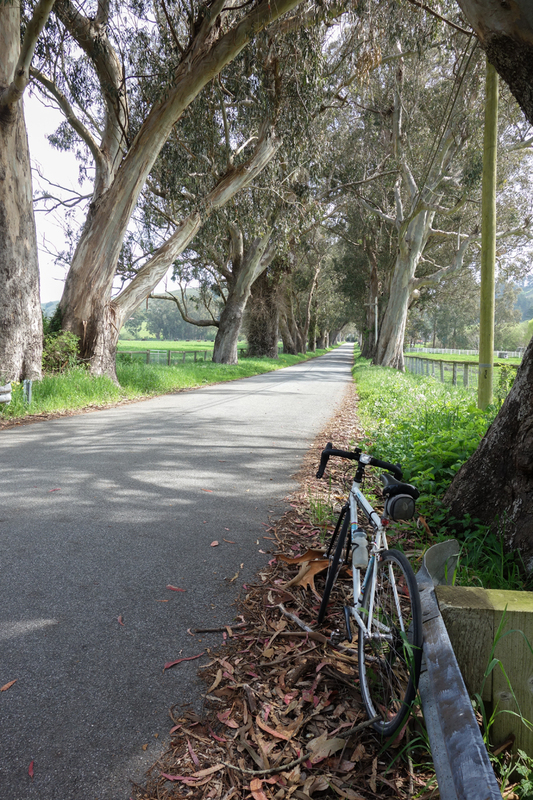 Maybe a blog post “Best roads (or loops) for weekend rides? I photographed a “NEWT XING” sign in Tilden Park in 2016. It is right under a pedestrian crossing sign, and adjacent to it, on the pavement, is a horse crossing sign. Probably a good spot to be generally careful!